This grandgirl is such a sweetheart! 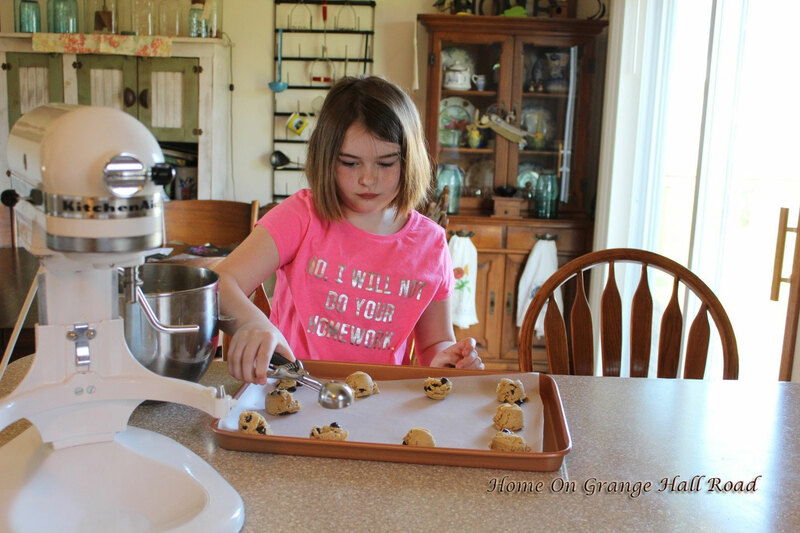 Look how serious she is about getting these cookies on the baking sheet! 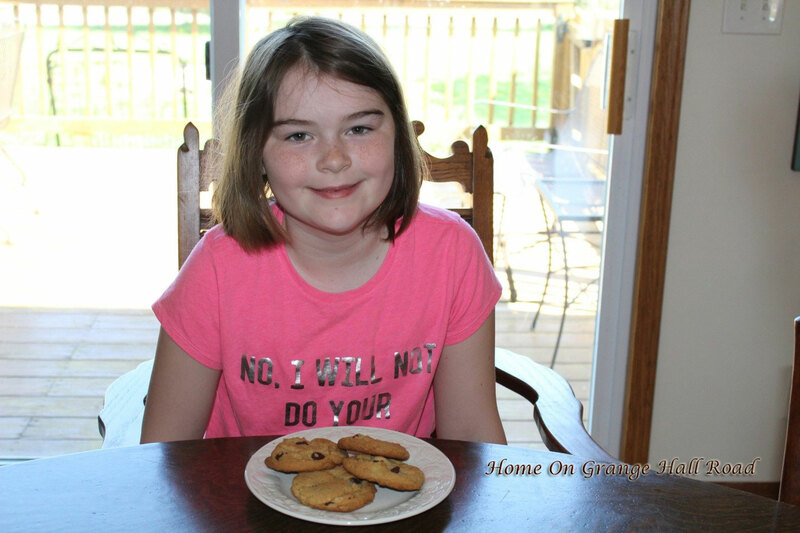 Last weekend Ella and I made chocolate chip cookies with a bit of a twist. Instead of using butter, we used Crisco. The difference was very noticeable and I must say we really like the taste of the cookies. She is so cute! And I love her shirt “NO I WILL NOT DO YOUR HOMEWORK”. I will need to find out more about that from her!!! In a mixing bowl, combine Crisco, both sugars, eggs and vanilla. Beat until very smooth. Add flour mixture to sugar mixture in three increments. Beat very well between additions and scrape the bowl frequently. Add chocolate chips and mix on lowest speed just until they are combined with the dough. 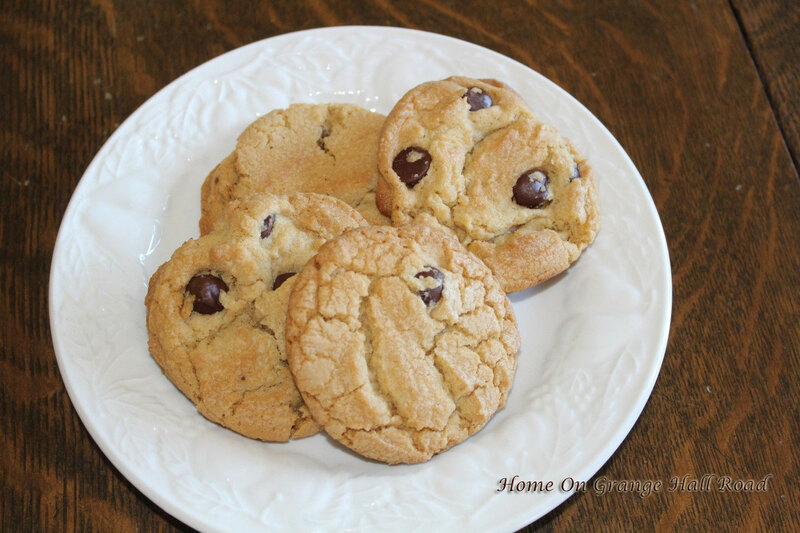 Drop 2-inch scoops of dough onto a large cookie shtte. Bake for 12-15 minutes. When done, cookies will be light on top but slightly brown around the edges and the bottom. Cool cookies on a section of newspaper to adsorb excess oil. Store in an air-tight container or Ziploc bag. One of my Mother’s Day presents, along with a pedicure, nail polish, and a bottle of wine!!!! I love it!! 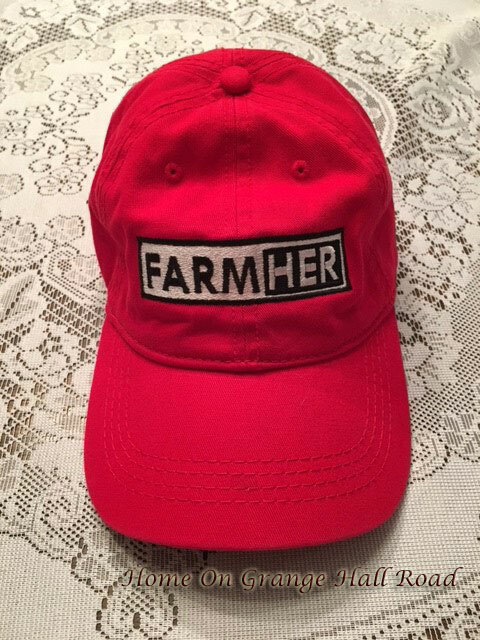 So proud to be a FarmHer. Lots of flowers have been planted and they are looking very good. Can’t wait for those blooms.